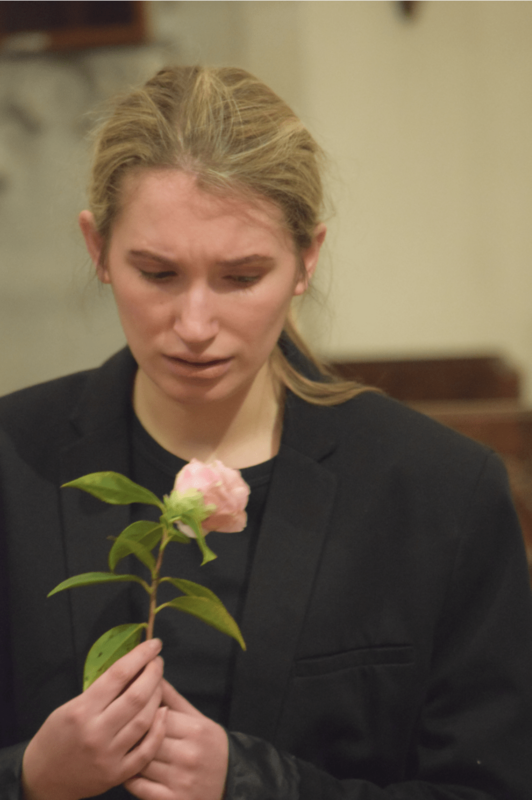 Grassroots Opera, a company of young professional singers, will be performing their production of Gluck’s opera Orfeo ed Euridice at the Blackmore Theatre, Exmouth, at 7.30PM on Friday the 26th of October (bar open beforehand). 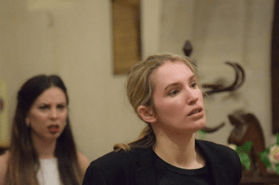 Grassroots Opera was founded in February 2018 by Devon based Soprano Chloe Stratta, and Mezzo-Soprano Anna Marie McLachlan. 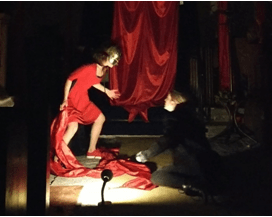 They aim to present opera in a way that is accessible to everyone, in intimate venues where audience members can feel immersed in the action and connect to the emotions presented. “Opera is very beautiful and meaningful, but not everyone is able to travel to see larger companies, so it’s important to bring this art form to people in rural areas, and also to try to create something that a diverse audience can appreciate”, says director Chloe Stratta. Orfeo ed Euridice, a tale originating in Greek Mythology, tells the story of Orfeo, a grieving man who is given the chance by Amore (the personification of love) to travel to the underworld in attempt to save his beloved wife Euridice. But is there more pain to be had in fighting nature? 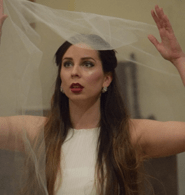 Can Euridice really be brought back, or has Orfeo been driven mad by grief? In this production, Grassroots Opera explore the lines between love and obsession, reality and imagination. Ticket are now on sale – Please call 07484 509514 to book your seats. Please see www.grassrootsopera.co.uk for more information. Our Theatre Box Office will be open about 45 minutes before this performance, but please don’t leave booking to chance. We always advise you to book in advance by contacting the Box Office number (above). Our Theatre Bar will be open from 6.45pm, so why not pop along for a pre-show drink and order your interval drinks at the same time. The Bar will also be open at the end of the performance.